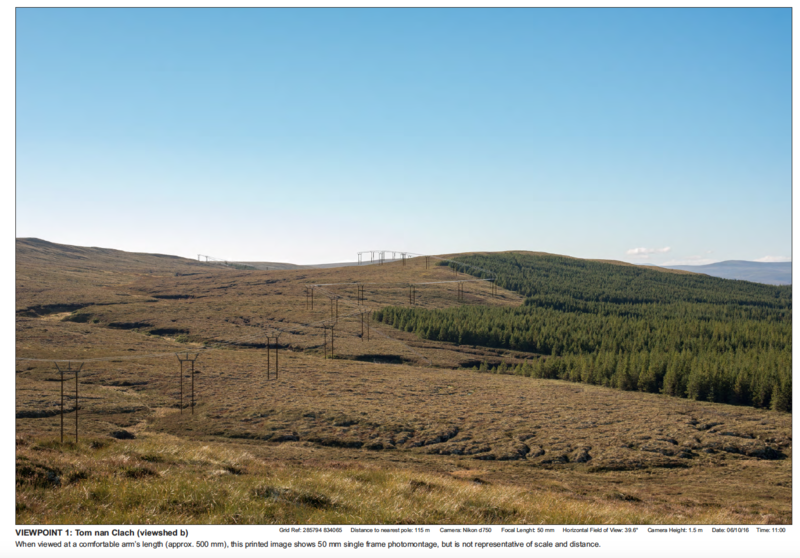 TrueViewVisuals visualisations have been used on the Tom Na Clach windfarm Grid connection! The landscape and visual assessment for this project was completed by one of our clients who were keen to try out TrueViewVisuals on a planning application. Tom Na Clach Grid connection is a project to connect the consented Tom Na Clach wind farm to the national grid. It is proposed to be a wood pole connection of approximately 15km of wood pole supporting a 132kV circuit. It has been submitted to Highland council and has planning application notice of 16/05709/S37. Visualisations have been created to Highland Council Standards using TrueViewVisuals. 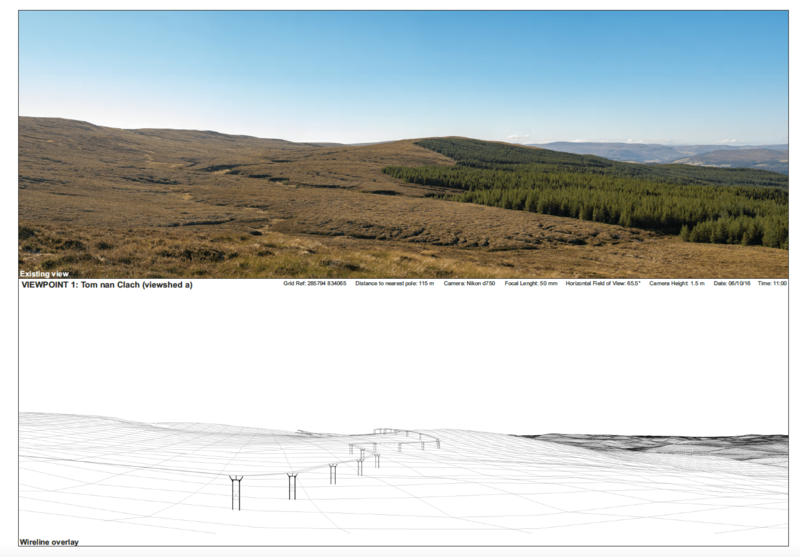 Below are some examples of the visualisations submitted – for Viewpoint 1 there is an example of the baseline panorama, matching wireline and photomontage. The full PDF for the viewpoint can be downloaded below.